The numbers state that about one in every eight American adults struggles with alcoholism. While not as immediately threatening as the opioid crisis, which has skyrocketed in recent years, the media focus on prescription drugs and heroin as a leading menace has allowed the growing threat of alcoholism to fly under the radar, for the most part. One big issue with recognizing the problems presented by alcohol consumption is that there still exists a reigning misconception that alcohol, specifically in small or moderate amounts, is good for a person’s health and well-being. The truth is that alcohol is the most dangerous legal drug in the world, both because of its long-term effects on the mind and body, and because it is widespread economically and culturally. Like any drug, consuming a little bit of alcohol is not guaranteed to cause havoc in your life. But it does put you at risk for alcoholism, a dangerous disease with lasting physical consequences. Understanding alcohol and alcoholism can give a greater insight into why the issue is so pervasive, and how individuals and families can best cope with it. Alcoholism, or alcohol addiction, is characterized by an inability to slow or stop the personal consumption of alcohol despite clear and unavoidable signs of self-destructive behavior. A person with alcoholism may initially deny their condition and their behavior, out of fear of addiction stigma or other similar reasons. Alcoholism is rooted in a variety of factors and can manifest for a large variety of reasons. In all cases, alcoholism involves a significant dependence on alcohol, either physically, emotionally, or both. Why or how the dependence began is different from person to person, with common factors including genetic predisposition, socioeconomic background, mental health, and excessive stress or trauma. Like any other form of addiction, alcoholism can take its toll on individuals and families alike – and like any other form of addiction, it can be treated if viewed as a disease rather than a personal flaw. The specifics of treatment depend on a person’s circumstances and the nature of their addiction, but all addiction treatment centers on helping patients stay sober and recover from relapses. Too much of anything is bad, but there are certain risks associated with alcohol that are not present on other indulgences like sugar, chocolate, or even caffeine. An alcoholic beverage is any substance made for human consumption containing ethanol. Distilled from grains and fruits with a high sugar content, like barley, and grapes, and starches like potato and corn, alcohol drinks have been brewed for millennia, and distilled for almost as long. Although we are the only species that purposefully produces alcoholic drinks, we are not the only species to indulge in ethanol, or other drugs for that matter. In low to moderate doses, alcohol produces what most call a “buzz”, leading to “tipsy” behavior – in reaction to the ethanol, the brain calms you down and lowers anxiety (by being a depressant), as well as lowering inhibition and messing with your motor skills, causing you to eventually slur your speech and lose balance. As consumption continues, you approach drunkenness, which involves a loss of certain mental inhibitions and controls, affecting several regions in the brain differently. In the cerebral cortex, alcohol slows down the processing of sensory information, making you generally slower and affecting your ability to think. In the pituitary gland, alcohol increase sexual arousal, but decreases sexual performance due to low blood glucose and a loss in fine motor skills. In the cerebellum, alcohol causes you to sway and lose balance, swaggering despite best efforts to maintain physical composure. And in the medulla, alcohol induces a relaxing, sedative effect. Taken in excessive amounts, alcohol leads to loss of memory and increasing physical and mental effects, such as an inability to calculate risk or stay on your feet. Finally, a near-fatal or fatal amount of alcohol leads to alcohol poisoning, which begins with nausea and vomiting, and leads to respiratory distress and death. Alongside the various short-term effects of alcohol consumption, regular alcohol consumption also carries a long list of long-term consequences, even if consumed responsibly (i.e. no binge drinking, less than 7-14 drinks per week). Regular alcohol consumption increases the risk of esophageal cancer, heart failure, liver cirrhosis and fatty liver, chronic gastritis, pancreatitis, and diabetes. Alcohol also adds on pounds due to being a source of empty calories, usually leading to weight gain. Regular alcohol consumption also increases the risk of alcoholism or may indicate an existing problem with alcohol addiction. Heavy drinkers suffer an even greater risk, cutting up to five years off their life expectancy, and raising the risk of dangerous conditions such as cancer and heart failure. Enjoyed occasionally during festive or celebratory occasions, alcohol is unlikely to do much harm, unless consumed in excess. However, if your family has a history with addiction – alcohol addiction in particular – then abstinence is much safer. Even without an existing history of alcoholism, regular alcohol consumption can be very dangerous, and in the best-case scenario still damages the body. Getting drunk does not equate to having an addiction. Doing regrettable things while drunk also is not a clear indication of an addiction. While many people drink often and copiously, an addiction specifically refers to the inability to stop drinking, especially when the person in question wants to stop. Regular consumption of moderate amounts of alcohol can eventually pose a threat to your longevity and increase the risk of certain diseases, but otherwise it is culturally acceptable, and can be one way to highlight celebratory moments in life. But regular binge drinking and other behavior that either implies or confirms an addiction is highly problematic, not only posing major health risks and thereby endangering a person’s life, but affecting other people, friends, and families, and even strangers as public drunkenness can lead to terrible accidents and tragedies. While drinking alcohol regularly is socially acceptable, modern medicine shows that it is not healthy. Health benefits previously associated with alcohol are better attributed to a balanced and healthy diet of fats, sugars, and proteins alongside polyphenol-rich foods and nutrient-rich ingredients, such as herbs and leafy vegetables. 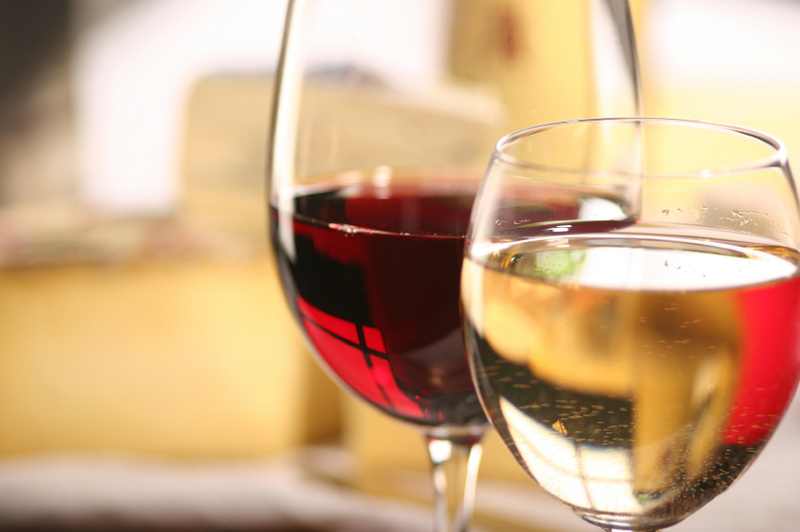 Further study into what was previously called the French paradox may be contradicting previous findings, and it is best to treat alcohol as a potentially dangerous indulgence rather than an essential part of healthy, wholesome living. Like other addictions, alcoholism can be treated. Alcoholism is treated through a targeted and individually-tailored treatment plan, dependent on a person’s circumstances, needs, and abilities. Psychotherapy and abstinence-based programs are typical parts of a treatment process, recommending that patients stay at a dedicated clinic or sober living home to avoid alcohol during the early periods of their recovery. Over time, dealing with alcoholism and maintaining long-term sobriety does become easier. It is up to each individual to decide when that time has come, however.